Modern business processes happen in the cloud. But, for many manufacturers, their enterprise resource planning (ERP) systems are still housed on local servers accessed through outdated green screens. In this episode of our Q&A Friday series, we talk with Tom Brennan from Rootstock Cloud ERP. He outlines the major benefits of moving to the cloud and offers a compelling argument for unifying your CRM and ERP systems on a shared platform like Salesforce. In just 20 minutes, Tom covers everything you need to know to begin planning a Cloud ERP migration. He provides three actionable frameworks for change and explains why businesses might consider one approach over another. And he gives us a sneak peek at Rootstock’s new “ERP Data Framework,” a brand new product just launched to help manufacturers simplify the transition from legacy ERP systems to a cloud-based ERP. Finally, Tom cautions manufacturers about the types of “cloud-washed” solutions they should definitely avoid. Let us know in the comments below, and we’ll talk through it on a future episode! Don’t miss it! We’ll dig into Cloud ERP during our next Salesforce for Manufacturing Trailblazer meeting. Not a member of the Trailblazer group? Join for free and stay on the cutting edge of the ideas and technologies powering the factories of the future. Jessica: Hi, and thanks for joining us for another Q and A Friday, a regular series where we chat about issues facing manufacturing companies in the new world of industry 4.0. I'm Jessica Vodden, a team member here at Mountain Point, and I'm joined by Tom Brennan, CMO of one of our partners, Rootstock. 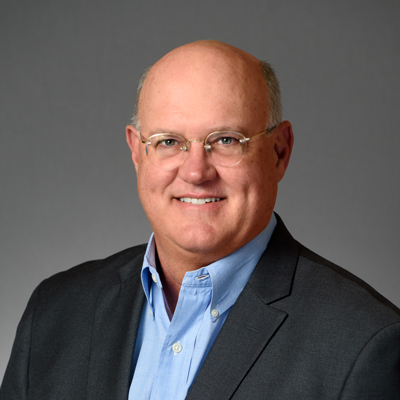 Tom has 30 years of professional experience working at ERP, and for business software companies, and he's been a long time evangelist of file computing, and has held many executive rolls, including several years as a senior vice president of marketing at Financial Force. We're so excited to have him with us as a guest on the show today. Hey Tom! Tom: Hey Jessica, how are you? Thanks for having me here today. Jessica: Yeah, I'm great. Thank you for joining us. So, Tom, we often talk about the Salesforce platform on the series, but I think many people still think of Salesforce as predominately a CRM system, and they're often surprised to learn that over the past 20 years or so, Salesforce has really evolved into a robust enterprise platform, capable of unifying many aspects of the business. So we invited you on the show today to talk about how we can integrate or migrate ERP data in the Salesforce to have a really comprehensive view of the company. But before we dive into that, can you tell us a little bit about yourself, and about Rootstock? Tom: Yes, as you said in the intro, I've been kind of involved with cloud computing a while, and the precursors to cloud, I don't wanna kinda show my age, I guess, but been real evangelist to the whole idea of moving computing more to end users and rather having all the IT burden that you normally have with managing stocks and things, but not just that, but also I think what Salesforce has done beautifully is put the ability to change and upgrade and improve apps in the hands of business users, so to me, that's an exciting thing, especially in ERP, which has traditionally been very IT focused, in that kinda way. Jessica: Awesome. And so tell me a little bit about Rootstock. What do you guys, what problems do guys try to solve? Tom: Yeah, we're very focused on manufacturers and distributors, or anybody who produces product that makes it, distributes it, or services it. So, it could be put in other ways, we're not marketing to services companies, banks, and real estate firms, and things like that. We're building applications that help people that make, distributor, or service a product, - very focused on the Salesforce platform. Our customers range from 50 employee companies that are emerging/growth type companies, all the way up to 25,000 seed enterprise companies, so we fit the gamut, if you will. Jessica: Yeah, absolutely. Well, as I mentioned earlier, Rootstock is a partner of Mountain Point, we love the relationship with them, we have a lot of trust in what they offer, and so we're very happy to have you with us today to talk about one thing that we also firmly believe, and that's that ERP really should be on the cloud. As I mentioned, I think a lot of people think of Salesforce as a tool for sales and marketing, and maybe even customer service, but tell me why Salesforce is also a really amazing platform for ERP? Tom: Yeah, I think there's several reasons for that, and I think part of it is actually the way the market is driving us, the way customers are driving us as well. Traditionally, I brought this diagram to kinda illustrate this. You go into any company, you'll see a white board with something like this up there, and then you usually are going to see a bunch of dotted lines in between CRM and ERP trying to integrate them, and really what's happening is that people are realizing CRM and ERP shouldn't be separate. There's processes that the order to cash, or opportunity to cash process, for instance, goes across there. More and more people want to know more about their customers, and get 360 degree views of what's going on with their customers, so that's an issue. If you're in management, you wanna know what's happening with costs, but also what's happening with sales. So you wanna be able to walk in in the morning, look at a dashboard, and see your whole business, not just what's in CRM, and not just what's in ERP, but it's those things together. Traditionally what's happened is these two things kinda grew up on their own, and their own track, so ERP is probably automated first, or more extensively over the years, going back even to the '60s, if you think about that. Then CRM came on, and eventually CRM went into the cloud, it went there first, and was adopted quite readily, and ERP lagged, which I think we should talk about a little bit more here, but really what it comes down to is, you'll see I think as we talk more here, is that the system of engagement that you see on the left, and the system of record need to be combined. Fundamentally, the way business works today, it can't be. That's why we think ERP belongs on the platform, where you can have the system engagement, and system of record together. Jessica: Yeah, I think that makes a lot of sense, and I think it's understandable that, given they were initially separate systems, and separate processes, they grew up separately. But in today's world, it just seems natural to integrate all of that, right? And to have, just as you said, this complete view of what's happening with your business. Particularly, with the changes that we're seeing in customer expectations, I think having that insight into sales orders, having that insight into your production schedule is really important for being able to serve your customers in the way that you want. Tom: Yeah, and I think if you look at each of the boxes on here, imagine that's a department in your company, and imagine the customer calls. It says, 'Hey, can you tell me what's the status of this invoice? It doesn't seem right.' or 'A credit wasn't applied to my account. Can you tell me what's going on?' And then depending on who you are, you may or may not have visibility of that question. So what happens is the customer calls gets bounced around the department, has to repeat the information, which we've all been through, not a lot of fun. What we're finding is companies more and more are competing on service, not just on the product they provide, but on service. But if your frontline people are not equipped with the information to handle the customers' question, it's very difficult. Jessica: Yeah, absolutely, absolutely, and that's a conversation we have a lot on this show, is how to make sure you're serving the customer best. I think the driving force behind most digital transformation initiatives that are successful, is really that drive to add a better value for the customer, and to provide better customer service. Tom: Yeah, you're absolutely right. Jessica: So Tom, tell me, why do you think that ERP has lagged? Why hasn't it grown as fast as most cloud competing systems? Tom: Well, I think when you look at what's happened in the marketplace, Salesforce hit the market first, and concentrated on CRM. To some extent, I would say CRM's a little easier, or a fair amount easier to implement and to automate than ERP is. ERP can be, in a product company in particular, can be very complex, with very deep bill of materials, and routings and schedules, and supply chain, and then pricing variances, and all that. It's a pretty complicated area, where, you know with CRM, when I first started off, you could go in and get it on your credit card, and start entering contacts, and start calling them, and recording what was going on. Relatively speaking, CRM, CRM's obviously grown into a bigger thing as well, so I don't wanna belittle it, but, it was an easier thing to automate, and that's one reason why, customers just don't go 'Oh I'm just going to go in and put in a new ERP system.' It takes time, lot of thinking, a lot of complex processes and stuff And that's one reason why I think it's lagged, and certainly, the other thing that's happened is Salesforce themselves jumped on this, as the leader in it, on cloud in particular, and the ERP vendors, the traditionally European vendors, have been lagging. Matter of fact, they've fought it tooth and nail, it was very public proclamations by some of the biggest ERP companies that didn't think cloud was a real deal, or that important. Now they all have their religion, or saying they have their religion. So they drag their feet, and when they're talking to these companies, they were dissuading them from going to the cloud. Scaring them on security, there's a term called "cloud washing" out there, where what we're seeing is companies will take a traditional product, throw it on Amazon and host it, and call it cloud. To a customer, they see all the marketing, it's "cloud this, cloud that", but it's really just the same old thing, the same old product that's difficult to upgrade, as I was mentioning earlier on, difficult to add to, so that whole upgrade cycle is still the same thing, it's just, they may have solved part of the IT problem in terms of hosting servers and stuff, but the real value, and ability to rapidly innovate and change is not there. I think it's really those two things, it is harder, and secondly, the industry has not kept up with the paces as Salesforce did on CRM. That's different now, because companies like Rootstock, we now have ERP on the Salesforce platform. So our functionality is now equivalent or better than the old legacy systems that are out there. A few years ago that wasn't the case. So you can see why a lot of folks didn't jump into it. But really the time is to move to cloud now, because there's lots of alternatives and ways they can do that. Jessica: So tell me what options they have. You said there's a lot of alternatives, a lot of strategies. Can you give me some examples? If I'm a CEO and I'm sold, I wanna upgrade my system, where do I start? Tom: Yeah, yeah. So there's really, I would classify them if you want to call it, "crawl, walk, run". The first one is what we'll call crawl. A lot of people, they're not ready to rip and replace their old systems, change all their processes, retrain their people, that type of thing. But they do want the visibility of ERP information, and they wanna provide it in a platform, the system's engagement. They wanna have it available on mobile phones, they wanna have it available in communities, and pushing it out customer's and supply chain people. One of the things they'll try to do is move data from a legacy system, and try to move it on to the cloud. We were seeing this out there in the marketplace, and so we decided to build a product that we just announced, called the ERP Data Framework, to help people do this. This just allows them to move data, not much else, really, on to the Salesforce platform. What we did is, we are delivering, basically, ERP objects / Salesforce objects, with things that people know and love in ERP, like inventory objects, and sales orders, and bill materials, and things like that, financials, invoices, providing that as a shell, with a bunch, all the fields that you would imagine in a typical ERP system. You can implement that, instead of going out and designing a bunch or custom objects that count against your licensing, as well. These are just right out of the app exchange, objects that you can use instantly, so you don't have to go through the process of going, 'Okay, I've got an inventory object, I need these fields,' or 'an invoice object, I need these fields put in.' It's all done for you. So what you're able to do then is put the objects on our framework, then you use the integration tool of your choice. We happen to be starting with MuleSoft, in one of the things that we're doing right now. But use MuleSoft to map data from Legacy ERP systems on the right, say an SAP API, using the MuleSoft connectors, and map them through our API into our connector. Moving data from one place to another is just a mapping exercise now. It's not slowed down by oop, you know "I got MuleSoft, and that's great, and I got my connectors to SAP and that's great," but where am I gonna put it in CRM? This kinda kick starts that, and gets you off to getting the data in CRM much faster. Once you get the data there, then you get the 360 degree view of the customer, you can take, say Dashboards, or Einstein and run it across CRM and ERP data, it becomes much more powerful. It's a baby step, but a good and powerful one to get started, unlocking what's in these old ERP systems. Tom: That's the first, I call that the crawl method, if you wanna categorize it as that. Jessica: Sure. So what if I want to walk? What does that look like? Tom: You wanna walk? So the next thing is, you might choose some processes that you want to move to the cloud. Again, you're not ready to do everything, but there's some things that you may want to do. A good example that we see a lot of now is in Field Service. The Field Service Lightning product is becoming very popular product based companies on the platform. So you'll have a technician that's got inventory in their cars, or their vans, and then they may have a depo-repair place, then you've gotta deal with that in terms of returns, and then getting resupplies, and that type of thing. Field Service does have an inventory capability, but it doesn't have the full supply chain capability of tracking all those things in a very detailed kind of way. So we work with that, and provide, we have customers who implement our inventory system, then they're able to track it, and then actually handle all the supply chain fulfillment pieces when they need new parts. Also if they want to add, say, an RMA process, the return comes in, it comes into the inventory, it can go through re-manufacturing or refirb reprocess. And that's sort of like a mini manufacturing process. Then back in to finished, available inventory, that's available too. It's one way to take one piece of the process and run it on a platform without doing the whole thing. There's another permutation to this, this is by process, in the other incremental way, a lot of companies do, and by the way, these are both called Two Tier ERP, is you may have a business unit that's sort of self contained, and you may have a parent company that's got SAP or Oracle, or something like that, and you get this new business unit that's real, you wanna keep it light on its feet and agile, and whatever it is doing may not fit the corporate system very well. It's a real limitation to that business unit. What you then can do is run Rootstock Cloud ERP in the smaller business units, they don't have to be smaller, but maybe just different that you want to handle them, alongside Salesforce CRM, the service cloud and sales cloud, and then feed, say, a trial balance, or financial information, periodically to the corporate system. It's sort of an arms length, run in a way that they can get the data in to corporate for consolidations and such. That's kinda walking. It can be pretty advanced for some companies, as well. Jessica: Yeah, that seems to offer just a lot of flexibility. Tom: Yeah, sure, we love customers to put all our product in, but we understand. Business is happening, a lot of things happening in terms of corporate priorities. We wanted to offer a way for them to get into it, in different ways that matched their needs. Then there are times, we have a lot of customers now that are starting with these incremental approaches, with the view to eventually move it all to the cloud, which is really the next one. Which is, you know, you're running, if you look on the left there, the top left, you've got the sales cloud placing everything from sales orders, engineering, your whole supply chain, building an inventory, ship it out, do logistics, account for it, all on the platform, and then on the back end of it, wrapping and service, the whole RMA process, as an example, and call center on it. Literally end to end, you can run an entire manufacturing business on the Salesforce platform, with Salesforce CRM, sales cloud/service cloud, and Rootstock ERP in the middle. The great thing is, if they've got Salesforce in already, they have folks who know how to administer users, know how to write reports in Dashboards, write workflows, use chatter, know how mobile works, communities. All that's available to us instantly, and that was one of the beauties for us in choosing the platform, is we didn't have to build all that, and it's already there. It's part of the platform, so we inherit that, in essence, and so do our customers. They don't have to have another staff for that. If you look at ERP and that old Legacy thing, even if it's hosted, there's still another stack to deal with. Maybe not at the maintenance level of the updating the operating systems, and such like that. Maybe not there, but there's still a stack of tools that have to be fitted into that system that have to be managed and maintained. This is all just, as everybody knows whose on Salesforce, it all just kind of comes with the system when you use it. So that's that, that's kind of the beauty, and this is the extent, so somebody can go. Like I said, crawl, just get the data there, move some processes or business unit, or they can do the entire thing all here on the Salesforce platform. Jessica: Yeah, I think that's really exciting, and I think it opens up a lot of questions. We may have to have you back on the show, because I have a lot of follow up questions that we just don't have time for today. We may have to pull you on again. Before we sign off, what's the best way for listeners to learn more about both cloud ERP and Rootstock? Tom: Well you can go to rootstock.com, there's certainly lots to read there, but I would point you to our resource center, there's a number of independent white papers that we've purchased the rights to, for you to read about, say the difference between hosted and cloud ERP. There's a number of things talking about the Salesforce platform, and it's used for ERP there as well. If you've got people that are trying to understand the differences, or just getting to know cloud ERP, and hopefully the audience doesn't take offense to the title, but we wrote a book with a writer, called "Cloud ERP for Dummies" to give people the basics of it and where the differences are. We felt it was really important, because as I said earlier, manufacturers have been cloud washed by a lot of these older vendors, so they're confused as to what a real multi-tenanted cloud is, and what it's all about, so we try to shine a light on that, and that's what's in that Dummies book, as well. Jessica: I think that we're all overwhelmed with information all the time, so the more succinctly and directly you can say things, the better. Tom: Yeah, I own a photography one, and a couple others as well, so I need it simplified. Jessica: Well thanks again for chatting with me today, it's been really fascinating, and hopefully we can have you on again. For those of you listening, if you have a question about the show, or a question that you'd like for us to answer in the future, please hit us up on our social media channels, you can fill out the comments section on our website, email us, call us, we're available pretty much everywhere. Thanks again, Tom and happy Friday! Tom: Same to you Jessica, and thanks for having me. What's the ROI? Just six months after implementing their digital transformation efforts, luxury textile manufacturer Matouk saw a 233% return on their investments.